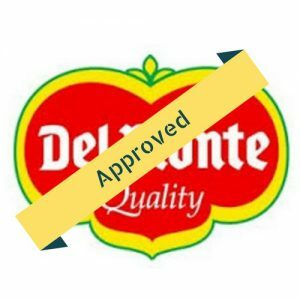 What’s up with Del Monte in Puerto Armuelles? 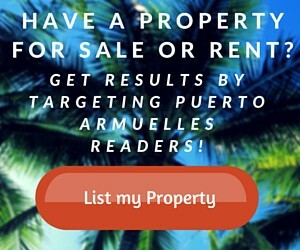 Visit Puerto Armuelles > Events > News > What’s up with Del Monte in Puerto Armuelles? 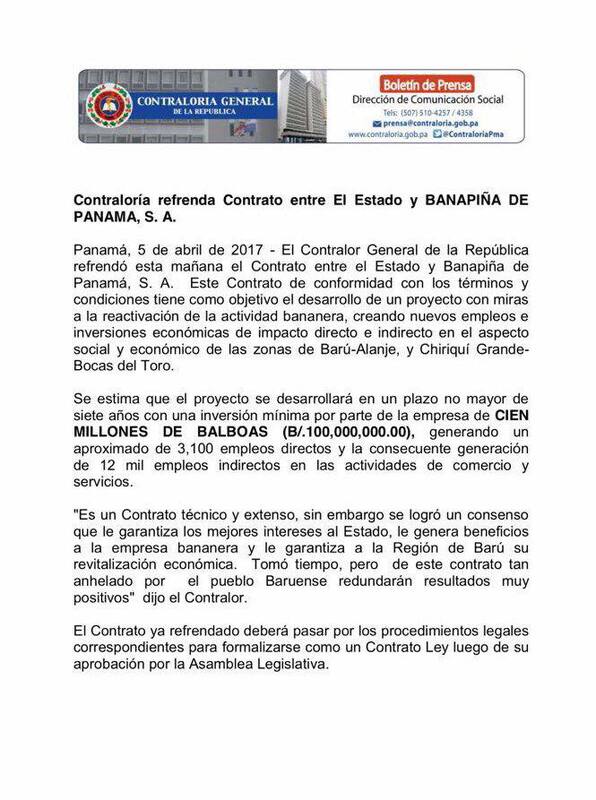 NOTE: On April 26, 2017, after the publication of this article, the contract law #36-2017, Bill #488, between Del Monte subsidiary Banapiña Panamá S, A and Panama was APPROVED . Below is some of the process that was gone through to get this contract approved and the courageous fight by the people of Baru that was instrumental in making it happen. If you have been in Puerto Armuelles for any length of time, you would see that poverty is evident everywhere. It wasn’t always this way. Puerto was once a vibrant town, back when Chiquita Banana had an active and major influence in the area. After an unresolved labor dispute in the late 1990’s, and the pull out of Chiquita, the town and surrounding areas were left with a vast number of unemployed (over 60% of the population) and an economic downturn occurred. The area has still not recovered. 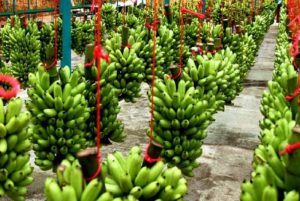 Hope was renewed when the Panama National government began negotiations a few years ago, first with Chiquita (which failed) and later Del Monte, to resume banana operations in the district of Baru. It looked like something might happen several times, but no cigar. So, where are we today? 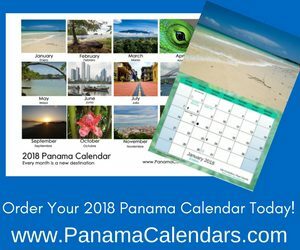 On November 30th 2016, Banapiña Panamá S, A., which is a subsidiary of Del Monte SA, negotiated an agreement with the Panamanian government to reactivate the banana industry and improve the local economy with an investment of a minimum of 100 million dollars. At that time, Álvaro Alemán, Minister to President Varela, said the contract would be presented to the National Assembly “in the first days of January next year (2017)”. It’s now April and we are still waiting! When President Varela made a campaign swing through the province of Chiriqui in March 2017, he assured attendees at his rallies that the agreement was ready and just needed to be signed by the National Assembly, which would happen by the 1st of April, and Del Monte could begin operations. It looks like this was the last promise the people were willing to hear without the promised action taking place. Starting at the end of March, demonstrations were organized and took place throughout the region of Baru, holding the government’s feet to the fire to make sure the contract with Banapiña (Del Monte) would go through this time. If you have driven between Puerto and the Frontera in the past couple of weeks, you may have witnessed some of the marches that have taken place. I passed one at the Frontera (Paso Canoas) on Monday, April 3rd, and another in Manaca that closed the road on April 5th. March 29th – the ladies of Baru marched from the San Antonio Church to the Central Park in Puerto Armuelles, starting at 9am. 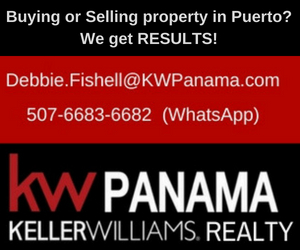 March 30th – many of the local businesses in Puerto closed down from 2 -3pm in support. March 31st – march from 2:30 pm departing from the intersection of Manaca towards Puerto Armuelles going through the main streets of the center of the city. 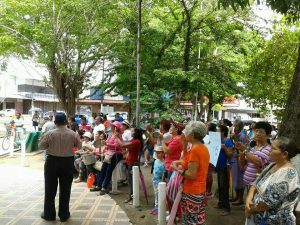 April 3rd – peaceful demonstration in Paso Canoas from 9:00 am along the shoulders of the road and not shutting down traffic. April 5th – Manaca crossing at 6am. April 5th, President Varela was interviewed about the protests on the news saying that they are a “political movement”. Our own National Deputy in Puerto Armuelles, Carlos Motta, has been a strong and faithful advocate of the people by supporting the ongoing campaign to make sure the voices of the people are heard. They plan to continue until the final signature is in place! You can follow Carlos for updates on his Facebook page HERE. The reactivation of the banana industry by Del Monte’s Banapiña is expected to bring about 3,100 direct jobs and about 12,000 indirect jobs in the district of Baru, Chiriquí province. The population of Puerto Armuelles is currently around 25,000, so this will have a huge impact! The approved contract is for a period of 20 years, with an investment of at least $100 million over the next 7 years towards production and exportation of bananas in the area. It will also put over 1770 hectares of farm land in use that were awarded to former Chiquita workers of Coosemupar (the Cooperavtiva de Servicios Multiple de Puerto Armuelles). Another 4000 hectares will be added to collectively produce an average of 2,725 boxes of bananas per hectare a year. 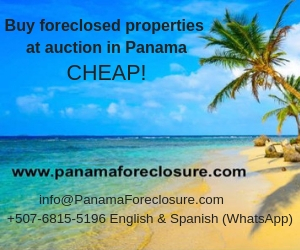 According to the Alcalde (mayor) of Baru, Franklin Valdes, “The Municipality of Baru will receive $312,000 dollars per year… from the company”. As of today, approval of the agreement between Del Monte and the Panamanian government is still awaiting ratification by the National Assembly. According to the latest report from the Administration, they expect this to happen before April 19, 2017. Should we hold our breath again? Click HERE to see old photos of Chiquita Banana in Puerto Armuelles. This is really interesting news. Thank you for sharing this with us. 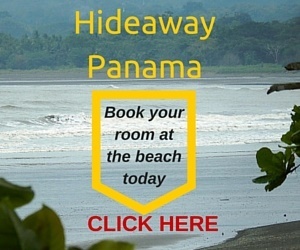 We have purchased a lot at Coco Beach and look forward to more positive news like this. You’re welcome Kay! We look forward to your arrival in Puerto Armuelles. Let us know if you have any questions about your new home. My name is Laura and I am a Peace Corps volunteer based in El Palmar, Puerto Armuelles. I am really fascinated by your articles on this website and I would love to speak with you personally sometime. I just started my service and I will be here for a total of two years, working primarily with the Centro Educativos el Palmar (primary school) but also with other local community organizations. It was great to meet you Laura! I look forward to reading your research on the history of the area and sharing it with my readers here. Thanks for reaching out!